With only a few weeks left, this Mona Scott Young Produced Presidential Election is getting real messy. In a Beyoncé-ish move last night, filmmaker Michael Moore released an ‘Anti Trump’ documentary. 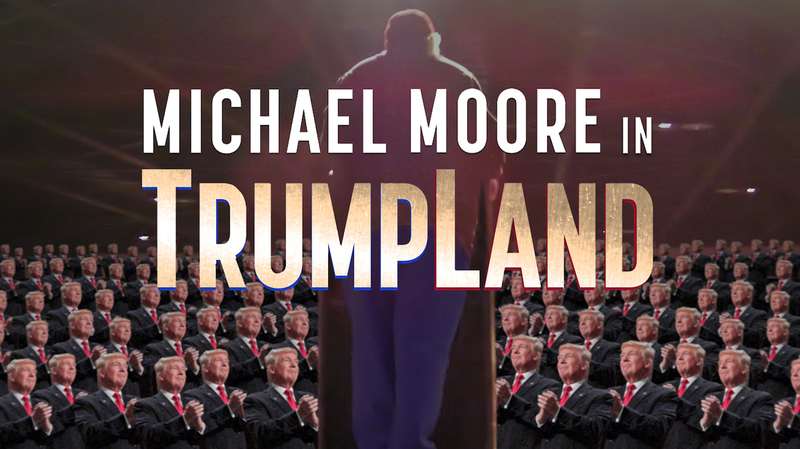 Michael Moore’s Michael Moore in TrumpLand is a 73-minute film of Moore speaking to the candidates from a stage, interspersed with humorous peeks into their respective presidencies. Moore told the audience he “knew the Hillary Clinton campaign would never endorse” Michael Moore in TrumpLand. But she’s got to be happy that his newly pro-Hillary message was loud and clear. TrumpLand begins its theatrical run Wednesday in New York and Los Angeles, and is set to come to iTunes sometime that same day.